The First Aid Plus First Aid, CPR, Bleeding Control, and Injury / Illness Training Course is a Comprehensive First Aid course including Adult, Child and Infant resuscitation for those who do not require the HSE First Aid at Work course. This course is great for families or anyone who needs comprehensive first aid training. The course covers all aspects of first aid and is an ideal source of reference for many conditions. 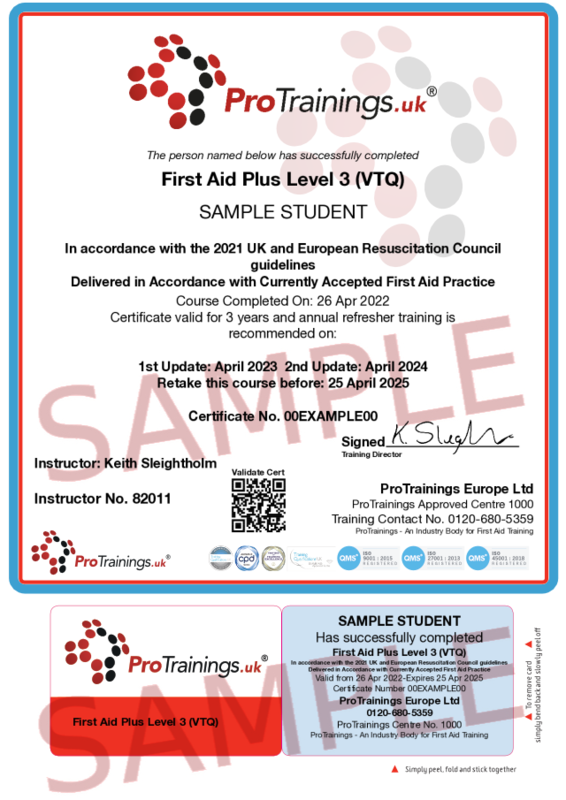 First Aid training is not only a good life skill for everyone to learn but also a required mandatory training needed annually in many professions. The First Aid Plus course is our most comprehensive course, covering a wide variety of primary and secondary care subjects. We include in the course Child and Infant skills to ensure a more complete understanding making the course ideal also for Parents, Grandparents and Families as well as businesses and people needing a more comprehensive first aid course. Link to the Community HeartBeat Trust is a national charity focused on provision of life saving defibrillation services to local communities.